The matter was previously raised by Fianna Fail’s Seanad Health Spokesman Senator Marc MacSharry. 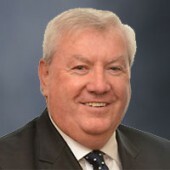 In a statement, Mr. Daly said he had chosen to resign as chair of the West/North West Hospitals Group “as I do not want my personal and professional reputation or the reputation of the Group to be compromised in any way. “I took on this voluntary role two years ago and have been happy to serve in furthering significant improvements in the health services. Group Chief Executive of the Hospitals Group, Bill Maher said it was with deep regret he had learnt of Mr. Daly’s decision to resign. A note to broadcast media stated the group would not be putting forward any spokesperson on the issue.